I had quite a bit of the fabric left over (I'm guessing I was planning to use it on the back of my quilt...but alas, that hasn't happened. So, I decided to make her a quilt with it instead. I'm not sure, but this might be the first two color quilt I've made. 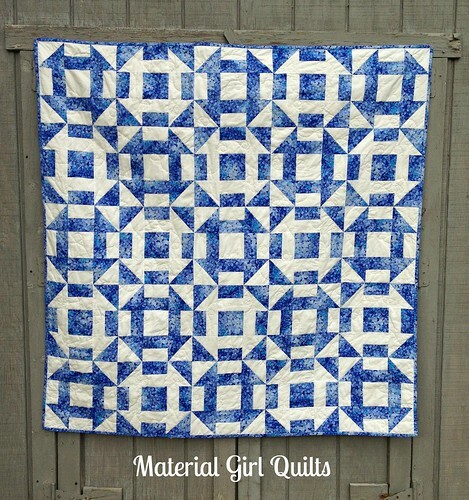 I love the simplicity and crisp look of two color quilts and I think this one fits the bill nicely. The true colors of the fabric are best shown in the below photo which was taken before it was quilted. Unfortunately once the quilt was done and ready to be photographed, the clouds came out! 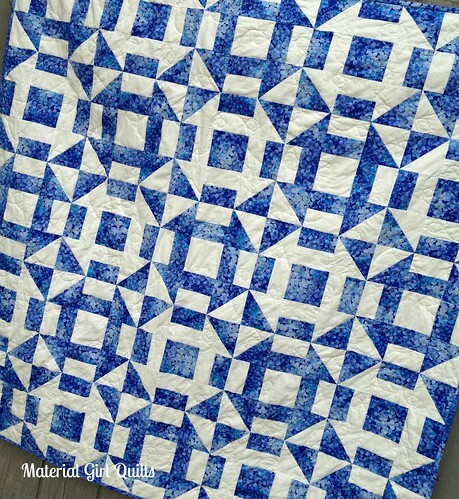 It's a simple churn dash block and I switched the placement of the blue and white fabric on each alternating block. I think it makes a great secondary design and fun effect in just the two fabrics. For the quilting I wanted to get it done quickly because of a few other deadlines I have looming, so I used my standby Aurifil 50wt #2021 and created large loops in a meandering fashion. The backing fabric is Ty Pennington's Impressions in Taj Blue and I think it goes so well with the hydrangeas. (By the way, this fabric is on sale in the shop for 40% off!) I bound it with the hydrangea fabric and I think the blue finishes it off perfectly. 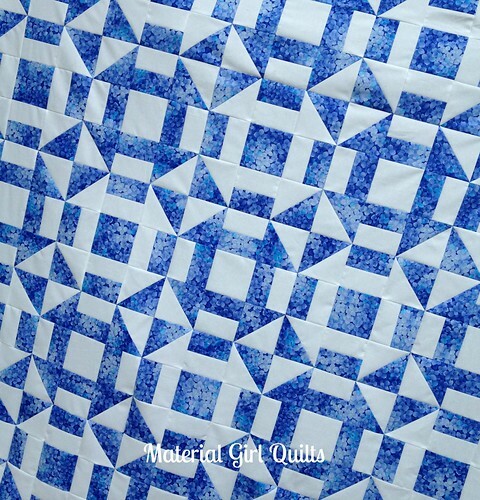 So, have you ever done a two color quilt before? 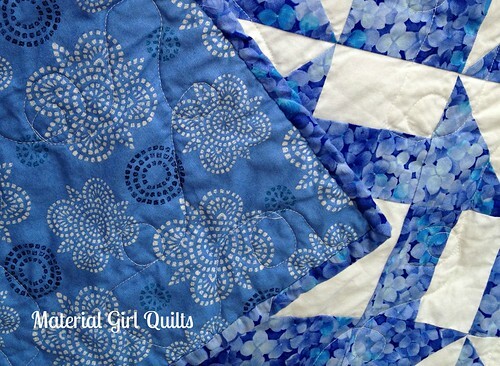 What are your favorite two colors to use/see in a quilt?